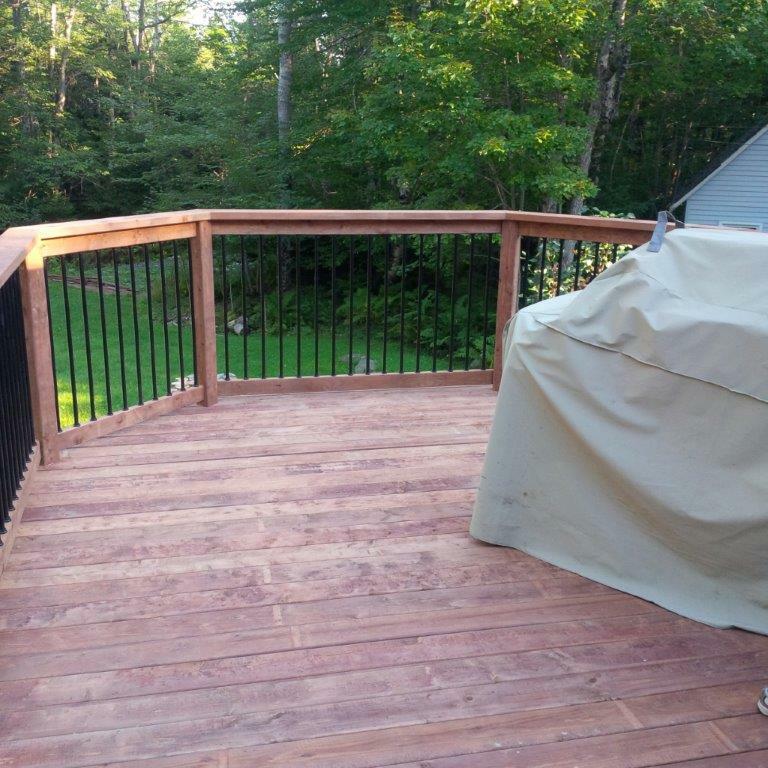 What was once a standard wood platform came alive using Goodfellow Terra, a wood with a rich tone of natural colors. 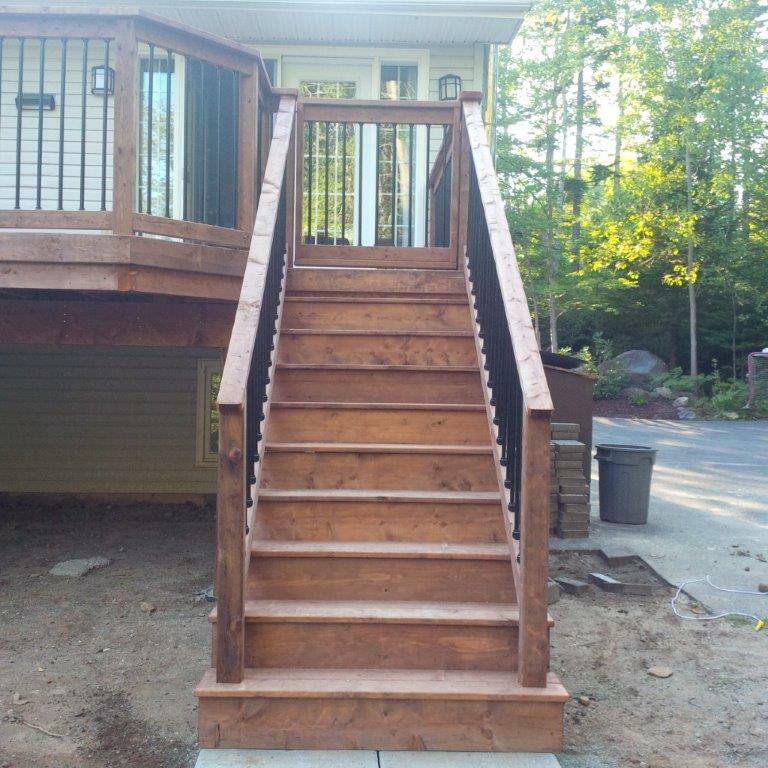 The earthy warm appearance is pigmentation that has been infused into the treated wood which enhance the grain and natural appearance of the wood. 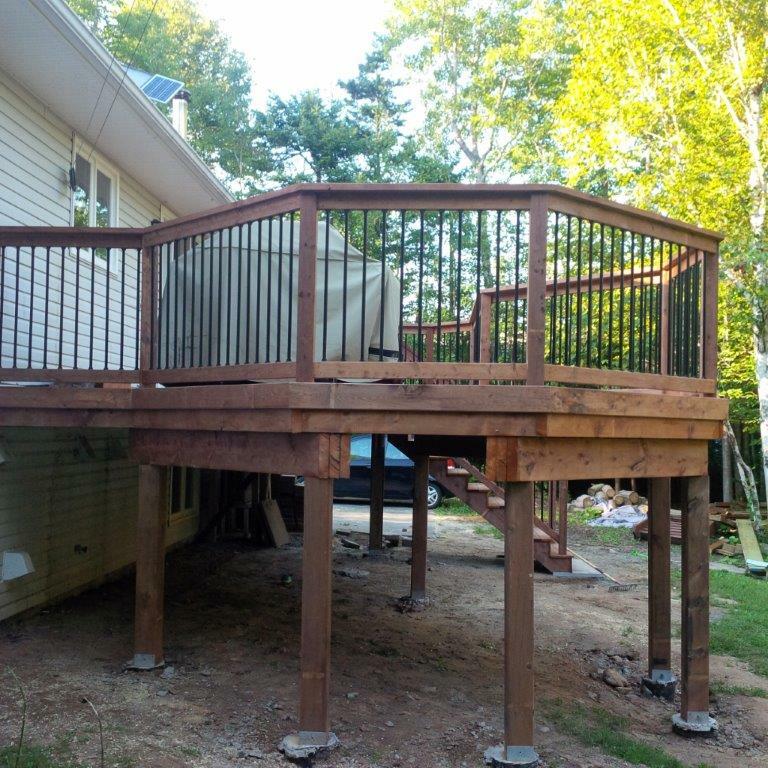 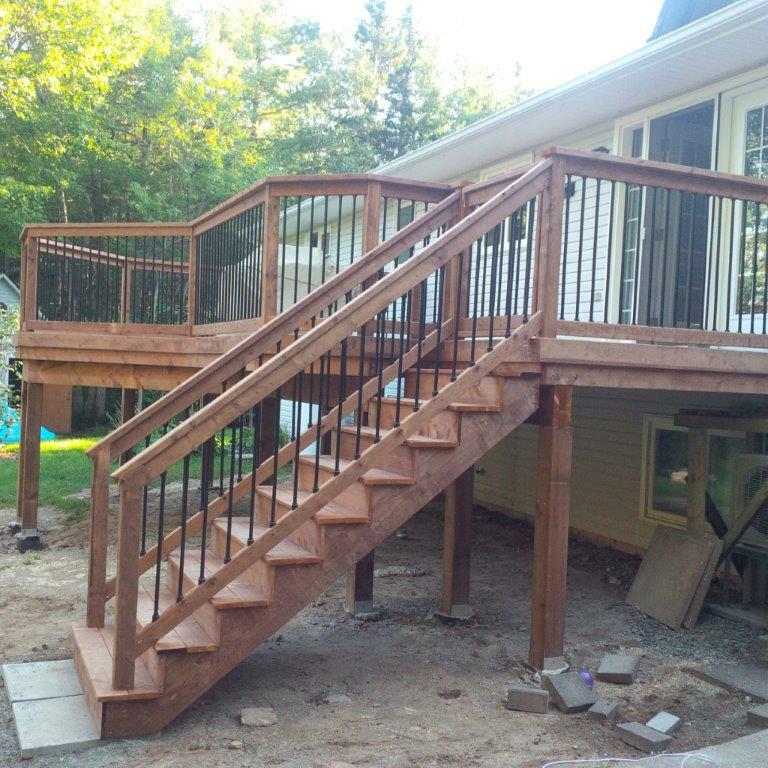 To keep your eye traveling, Deckorator black aluminum balusters were used to complete the railing system. 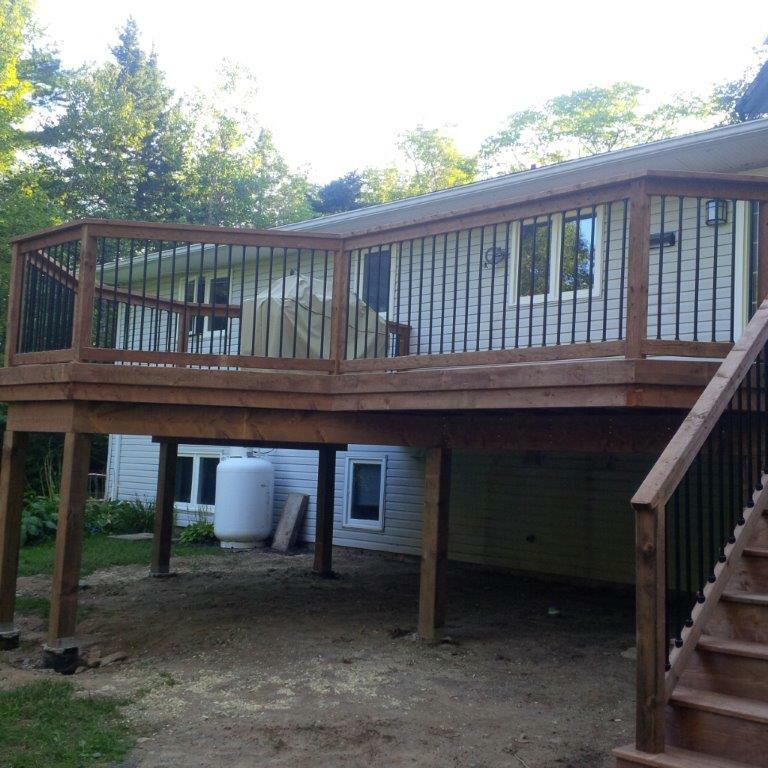 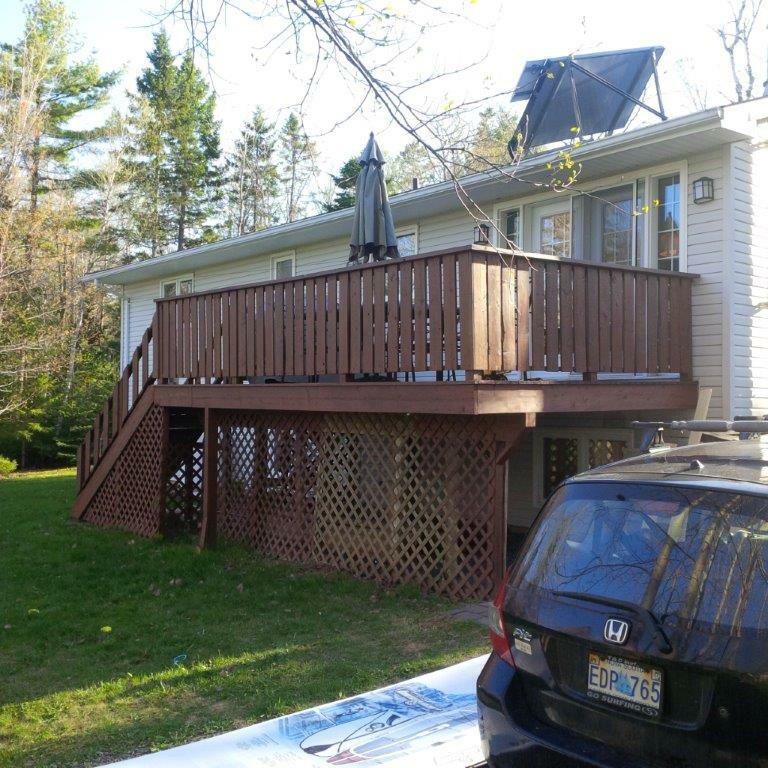 This home owner took advantage of using their deck as an extra outdoor room adding a bump out for entertaining and providing a handsome sitting room. 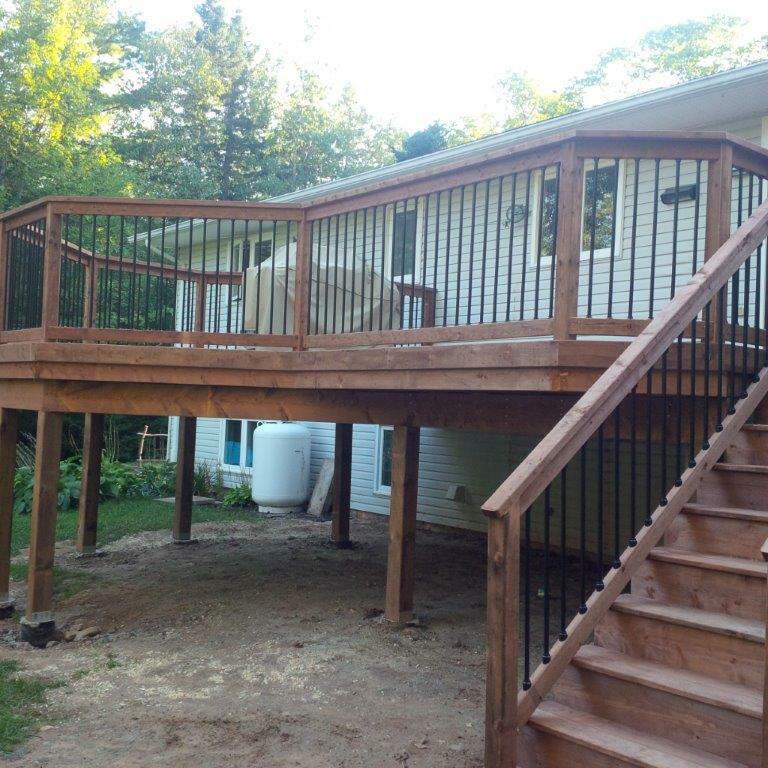 Say good-bye to your standard 10×12 square deck!